The California Department of Parks and Recreation (DPR) serves the public by bringing families and friends together and providing an wide array of recreational opportunities for the benefit and enjoyment of all people while protecting and preserving California’s most significant natural and cultural resources. DPR accomplishes this not only through delivering services to 280 parks across the state, but also through programs that support local, regional and national recreation activities. The Off-Highway Motor Vehicle Recreation Division (OHMVR) is a vital program that is recognized across the country as the leader in off-highway vehicle recreation. While DPR operates nine state vehicular recreation areas, the vast majority of recreation occurs on other lands supported through this robust division. On June 3, 2016, DPR Director Lisa Mangat provided an update to the California Off-Highway Motor Vehicle Recreation Commission and members of the public on the department’s Organizational Structure Opportunities Project (Project). At that meeting, Director Mangat stated that there would be additional opportunities for public engagement in this process. The open house will provide a forum for the public to learn about the Organizational Structure Opportunities Project and for DPR to hear from the stakeholders. 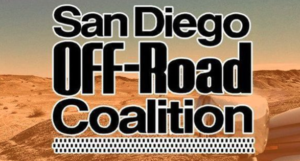 The members of the California Off-Highway Vehicle Recreation Commission have been invited to attend; the commission will not be taking any action on any matters at this open house.